Bamboo is a renewable resource and is a great choice for any disposable product. Using picks at a party is a sanitary option to offer guests. 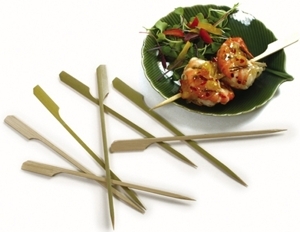 The flat tip design of our Bamboo Picks makes serving appetizers easy and practical.